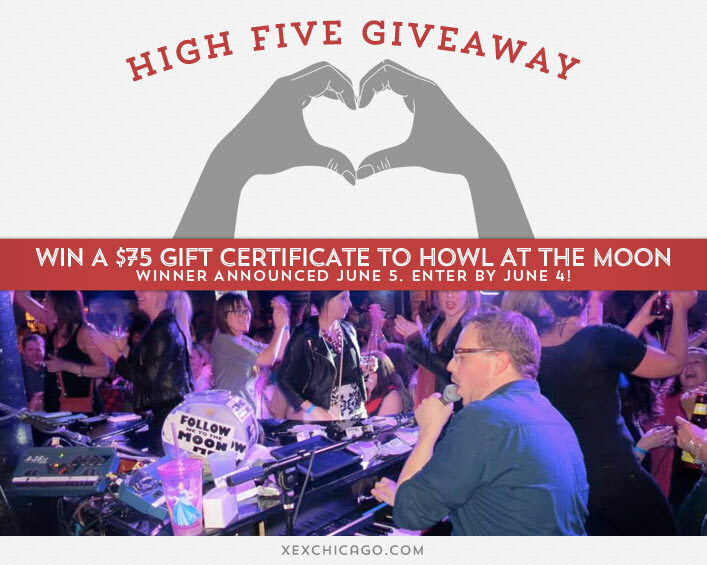 Win a $75 Gift Certificate to Howl At The Moon! Congratulations to Audra Rosen on winning our ninety second High Five Giveaway and thank you to all who entered! Our next High Five Giveaway is for a $75 gift certificate to Howl At The Moon. What is one question you should ask your stylist before making a hair style change? There is no wrong answer to this question, but check out our recent blog post for some suggestions! Now, just add a comment to this post with the right answer to be eligible to win! The winner will be announced on Thursday, June 5. Entries must be received by midnight on Wednesday, June 4. Do you have experience with this kind of cut? -First, you should ask if they think this cut or color will look good on you. Your hairdresser has much more experience with cut and color and can be honest when telling you if they think this style is a good idea. -Second, you should ask your hairdresser if this style will be one that is manageable. It’s important to know how much time and products it will take to style your hair as well as how often you will need to come in to the salon to maintain the cut and color. Another answer you’ll get from this question is whether or not this style is one that is only a fad that will be in for a few months or if it’s a classic style that you can keep for some time. This was an important question for me in selecting between highlights and ombre. In the end, ombre required less maintenance and doesn’t look as bad when your hair grows out. *A good hairdresser will also communicate pricing to the client before doing anything. For example, toner is needed for some and not others. All things add up and the hairdresser doesn’t want an angry client at the end when they hear the price because they had an unrealistic idea for the price of the cut, color, and style. Will this kind of haircut look good on me ? What sort of upkeep is required for this hairstyle? How often will I need a trim – especially for bangs! How short this haircut with layers will look on me? Will it be high maintenance for styling? Will I be able to put it into a pony tail? Will I look good completely shaven? Will I be able style this cut on my own ? I think it’s really important to ask your hairdresser if they think this cut or color will look good on you. ps: Im a mom with a minivan. What products will work and how can I style this day to day? What are ways I can style it for different occasions? What style do you think works best for me? Always value your stylist’s opinion!